Snug-fitting, ankle-high footwear known as jodhpur boots or paddock boots in the 1800s, the stylish Chelsea Boot made its comeback in the Swinging Sixties when the beautiful people of the Kings Road and the World’s End rediscovered Victoriana – and it’s never been away since. 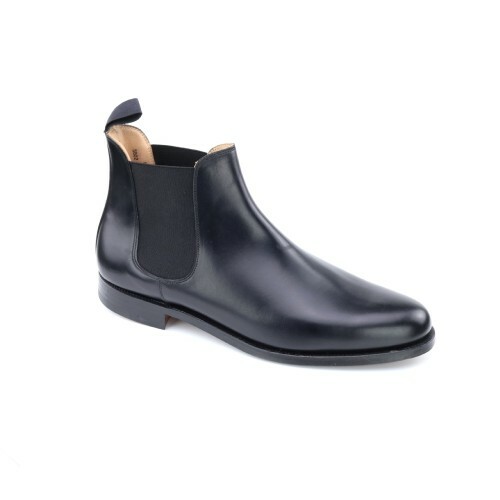 In pure black calf, the sleek, sculpted BINGHAM is the daddy-oh of all Chelsea Boots with an elasticated side gusset to for that extra touch of hip! Really nice chelsea boots. I own a pair of CJs as well and the quality of these shipton & heneage are just as good!